Kate has been providing Financial Advice for over 20 years and prior to joining Vision, was an award winning financial adviser with HSBC, both in the UK and Jersey, during which time she provided advice to personal and commercial clients across all sectors of the market. 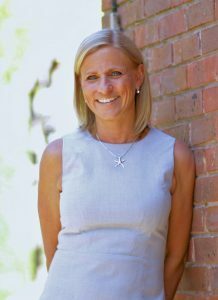 Her company, Kingsmead Wealth Ltd, is an Appointed Representative of Vision Independent Financial Planning Ltd and she provides advice to clients in Andover and surrounding areas in North Hampshire. The combination of Kate’s commitment to customer service and expert knowledge, with the business support offered by a close relationship with the Vision group means that her customers can be assured of the highest level of financial advice. Away from work, Kate enjoys spending time with her family as well as watching Formula 1 and she has been a member of her local pub quiz team for 20 years. She is also a keen gym-goer and takes part in regular challenges and endurance events for charity.